Item shown above : Display Case with Basketball in Demonstration. Ball not included. 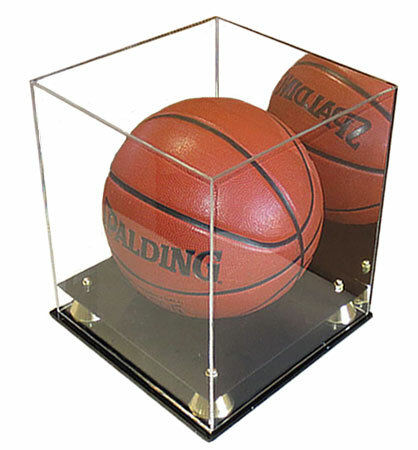 exclusive DisplayGifts Brand, The Deluxe Acrylic Basketball Display Case features a black base with gold risers, UV Protection cover, and a mirrored back. Use this memorabilia holder to protect, store and display your collectible basketballs fro the NBA, NCAA, high school and others.